Archaeologists have unearthed a 3,000-year-old silver goblet during excavation work carried out in the Ardabil province of northwestern Iran, media reports said Wednesday. 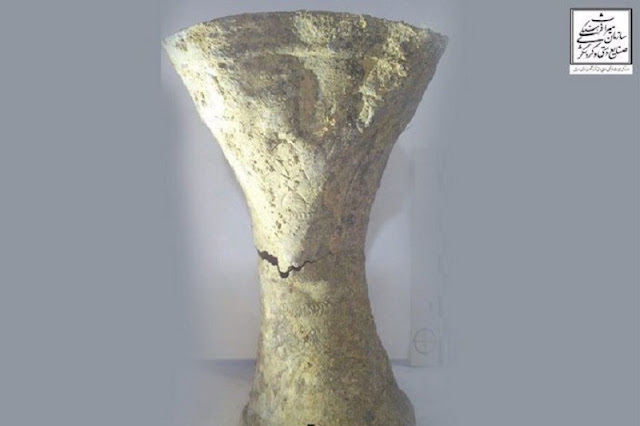 Nader Fallahi, head of the Directorate General of Heritage, Handicrafts, and Tourism of Ardebil told Iranian state agency IRNA that the silver goblet was found during excavations carried out in the Khalkhal district. Fallahi said that the ancient artefact may have belonged to the Mannaean kingdom that ruled the region between 850 and 616 BC. He noted that excavations and research by the experts showed that there was life in the area 300 years before the Achaemenid Empire, also known as the First Persian Empire which began in 550 BC. "The goblet can be compared with the silver goblets discovered at the Hasanlu region in (the Iranian province of) West Azerbaijan," he added, referring to the ancient archaeological site located in Iran's Solduz Valley. The silver goblet will be showcased in the Archaeological Museum of Khalkhal.